In the nonprofit legal center Steven Schwartz runs from a converted furniture store in Northampton, Mass., the e-mail was very good news: By week's end, a check for $243,000 would be on its way. The money couldn't come soon enough. The sharp downturn in the economy had put Schwartz's group -- working to improve treatment of teen offenders with mental illnesses -- under very tight budget pressure. At least the check was a promise he could count on. By that Thursday, though, events were unfolding 160 miles away that would upend those assumptions and assurances. In a federal courtroom in lower Manhattan, a Wall Street wizard stood before a judge, charged with running a $50 billion fraud that targeted scores of wealthy and powerful investors. The name of the accused, Bernard L. Madoff, meant nothing to Schwartz and why should it? He'd never heard of the money manager with the beachfront mansion and the 55-foot yacht. They'd certainly never met. There was no reason to think they had anything in common. Except, it turned out, the money. In the days since Madoff's Dec. 11 arrest, the tale has repeatedly been told of wealthy victims who, perhaps naively, invested their trust in a man who promised financial miracles. But the scale of the Madoff scandal can just as well be measured in its still-widening ripples, reaching far-flung people and causes -- from a group helping just-released inmates find jobs in Rhode Island to another working to provide fresh food in poor neighborhoods in Detroit and Oakland, Calif.
Their future is now in jeopardy -- a painful reminder of the financial web linking very different worlds. Signing up companies for office space in Manhattan skyscrapers made Norman F. Levy a very rich man. In the hotly competitive but tight-knit world of New York commercial real estate, Levy worked across more than seven decades brokering leases in midtown's towers. When he died in 2005 at 93, he was hailed as an elder statesman of the trade whose zest for the deal was matched by his generosity with both friendship and money. "Your spirit and love of life have touched and changed all who knew you," one friend of 40 years wrote in a paid death notice for Levy that ran in The New York Times. "You taught me so much. I'll cherish our relationship forever." The real estate broker and the money manager were separated by 26 years, but they and their families had formed a friendship reinforced by shared interests, social circles -- and trust. Levy and Madoff were active in some of the same organizations, like New York's Yeshiva University. They donated their money to many of the same causes -- groups including the Lincoln Center Theater and Gift of Life, a South Florida charity that tries to save Jewish leukemia victims by matching them with bone marrow donors. In the summer, both families headed to the Hamptons. When Norman F. Levy died, he was staying at his daughter's house fronting the Atlantic in Montauk, just a few sprawling lots away from the mansion owned by the Madoffs. For more than 30 years, the Levys also entrusted their personal investments to Madoff. When they chartered the Betty and Norman F. Levy Foundation -- which reported assets last year of $244.4 million -- as the vehicle for their charitable giving, they again put their trust in their longtime friend. 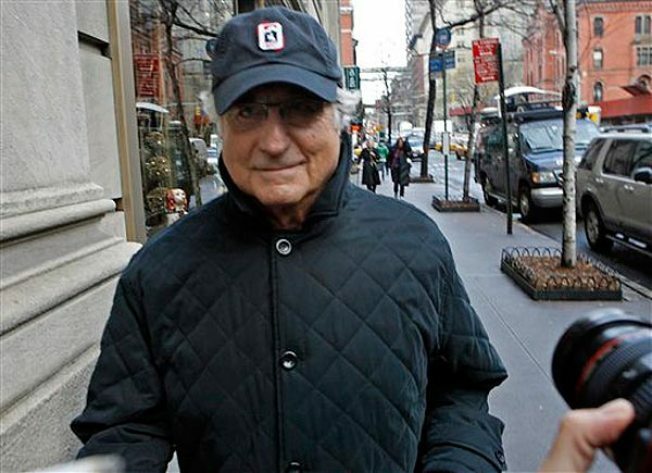 "My father believed in Bernie Madoff," Norman Levy's son, Francis -- who declined to comment for this article -- said in a recent interview with FOX Business News. "The one thing he said about Bernie (was), "If there's one honorable person, it's Bernie." Francis Levy, a novelist, and his sister, Jeanne Levy Church, had no reason to think otherwise. When Norman Levy died, they took the helm of the family philanthropy, leaving the funds invested with Madoff, whose offices were housed in the same Third Avenue tower as the foundation. The Levy Foundation continued donations to longtime favorite charities. But its biggest checks went to a new set of organizations created by Norman Levy's children to champion causes they embraced. In 2000, Jeanne set up the JEHT Foundation, whose name is an acronym for Justice, Equality, Human dignity and Tolerance -- originally to work on criminal justice reform, an area where funds are scarce. Last year, the Levy family financed JEHT to the tune of $29.9 million. Levy Church, and her husband, Kenneth, "felt that they were fortunate in their life to have this remarkable amount of money and they felt they wanted to use it for less fortunate people," said Robert Crane, president of the JEHT Foundation. Francis Levy co-founded the Philoctetes Center, a group dedicated to fostering discussions of everything from literature to economics. In 2007, the Levy Foundation financed Philoctetes with $950,000. Last year, Francis Levy invited his family's longtime friend, Madoff, to appear on a panel at the center to talk about the workings of Wall Street. More recently, the Levy Churches formed another group, the Fair Food Foundation, based in Ann Arbor, Mich., which set out to find ways to get fresher, healthy food to residents of poor city neighborhoods starting with Detroit and Oakland, Calif.
None of the Levys' foundations are well-known to the general public. But they got an enthusiastic reception from groups across the country that were hungry for funding. At the walk-in counseling office run by Rhode Island Family Life Center in a poor neighborhood in South Providence, a JEHT grant of $500,000 over two years paid staffers who help inmates just released from prison find housing and jobs. In 2007, the group provided services to 1,000 people. A New Orleans group, Advocates for Environmental Human Rights, used a grant from JEHT to pursue a lawsuit charging "environmental racism" in the predominantly black Louisiana town of Mossville, where the soil and water are polluted by 14 surrounding factories. And in Schwartz's program in Massachusetts, JEHT offered a three-year grant for work in Connecticut, Texas, Alabama and elsewhere to get states to reconsider treatment of teen offenders with mental health problems, encouraging them to send some home with therapy or provide it in detention centers. The JEHT grant accounted for 26 percent of the Center for Public Representation's annual budget. Its importance became even more clear this fall when a state tax on real estate transactions that provides nearly as much of the group's funding dropped sharply with the collapse of the housing market, Schwartz said. Still, Schwartz's staff of 11 was so certain of JEHT's backing that they moved ahead with new projects, spending about $25,000 in advance. "We just trusted that we would get the money, and so rather than suspend the work until the check was in hand ... we do the work and expected the check will follow," Schwartz said. Crane, the director of the JEHT Foundation, was working late that Thursday evening when his cell phone rang. His benefactors, Jeanne and Kenneth Levy Church, were on the line. "Are you sitting down?" they asked. The couple told him they'd just come across a story online about the arrest of a New York money manager whose name soundly vaguely familiar to Crane. All the Levy Church's money was invested with Bernie Madoff. If it was gone, so was the foundation. On Monday morning Crane sent an e-mail to people at nearly 150 groups around the country that count on his foundation for $25 to $30 million in funding each year. The checks they had been expecting would not be coming, he told them, and JEHT would close by the end of January. Francis Levy's group, the Philoctetes Center, also announced it could not continue without a cash infusion. The Fair Food Foundation, announced it would close, delivering what its president, Oran Hesterman called "a stinging blow" to activists working to improve nutrition in poor neighborhoods. Leaders of some of the groups funded by the foundations said they had not even been aware that their money came from the Levy family. Nor had they ever heard of Madoff. Some groups, like the Rhode Island center that finds jobs and housing for former inmates, were relatively lucky. JEHT provides a third of its annual budget, but the check for 2009 had already been cashed. The impact will become clear next year when the group tries to replace that money in an economy that has made fundraising increasingly difficult, Executive Director Sol Rodriguez said. For others, the impact was immediate. Between the JEHT closure and the drop in tax revenues, Schwartz's group has seen 48 percent of its budget vanish. On Wednesday, he called an emergency meeting with his staff. They've put juvenile justice projects in Texas and Alabama on hold. But those are emergency measures, not a solution. "We don't have any money," he said. "I'm not sure what we're going to do." It's a strange paradox, Schwartz and others in his situation say. All the attention swirling around Madoff has been about his wealthy lifestyle and the ultra-rich investors in places like Palm Beach and Hollywood and New York who lost their shirts. But few seem to understand the repercussions. "It's very ironic that the very wealthiest in the country can have such a severe impact on kids on the low end of the totem pole," said Mark Steward, whose Missouri Youth Services Institute has relied on funding from the Levy family to help improve juvenile detention centers in Santa Clara County, California, Washington, D.C. and elsewhere. If only Madoff knew, Steward mused -- "Or maybe he does know." "Sometimes, they just don't care."